Tuesday, May 3, 2016 — 5:30 p.m. – 8:30 p.m. Please click here for our flier here for more information. Registration and Light Dinner — 5:30 p.m. – 6 p.m. Welcome and introduction. Dina Iden, Executive Director, Loma-Prieta Resource Conservation District. Sibella Kraus, President, Sustainable Agriculture Education. 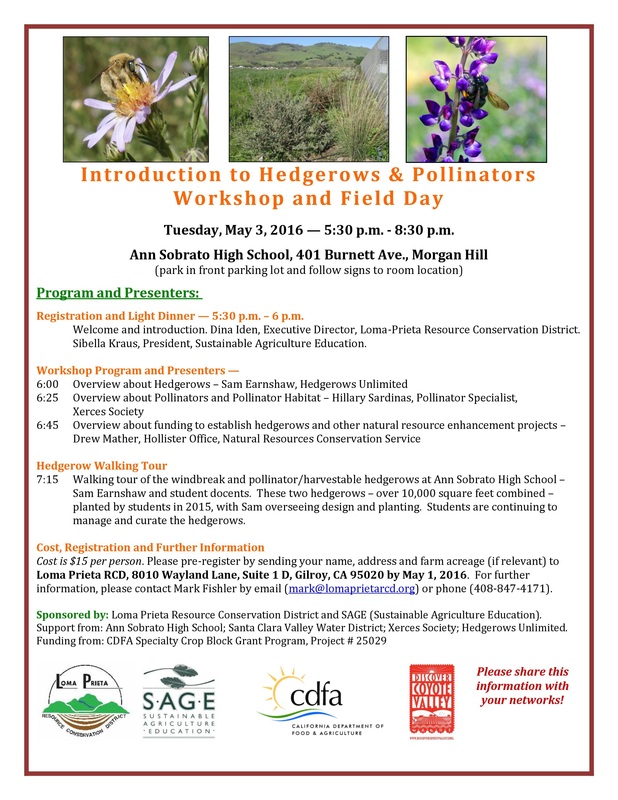 7:15 Walking tour of the windbreak and pollinator/harvestable hedgerows at Ann Sobrato High School – Sam Earnshaw and student docents. These two hedgerows – over 10,000 square feet combined – planted by students in 2015, with Sam overseeing design and planting. Students are continuing to manage and curate the hedgerows. Cost is $15 per person. Please pre-register by sending your name, address and farm acreage (if relevant) to Loma Prieta RCD, 8010 Wayland Lane, Suite 1 D, Gilroy, CA 95020 by May 1, 2016. For further information, please contact Mark Fishler by email (mark@lomaprietarcd.org) or phone (408-847-4171). 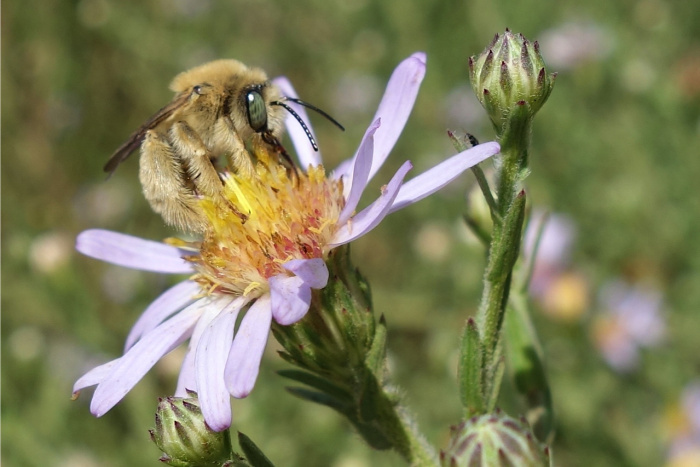 © 2015 Sustainable Agriculture Education, All Rights Reserved. Site by Rootid.in.